Happy Saturday! Busy work day for me - team meeting this morning and then stamp club tonight. Good times! Today is another, very different card, showcasing the Sweets for the Sweet stamp set. I love how they used umbrellas as the 'l's - isn't it adorable. Lots of different pieces on this card. This is a great sample of how to use your scraps or left over stamped or punched pieces. You know when you are working on a project and you've stamped something and it just doesn't end up working so it sits on your desk for weeks and weeks. 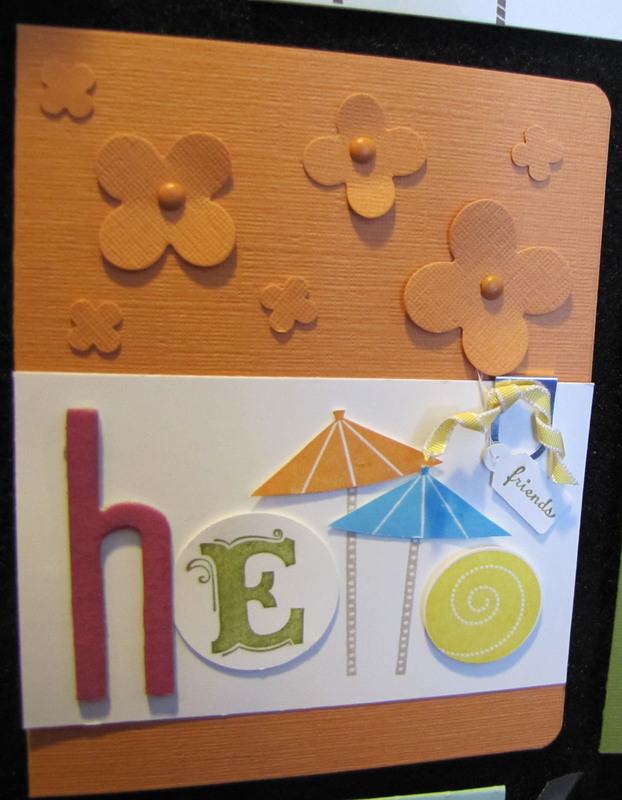 Take a look at this card and then go to your scrap basket and have a look - see what you can create! There are so many supplies used on this card, I'm not going to list them all but if you have any questions about what was used, just post a comment and I'd be happy to answer them for you! Place your Stampin' Up! orders online 24/7!